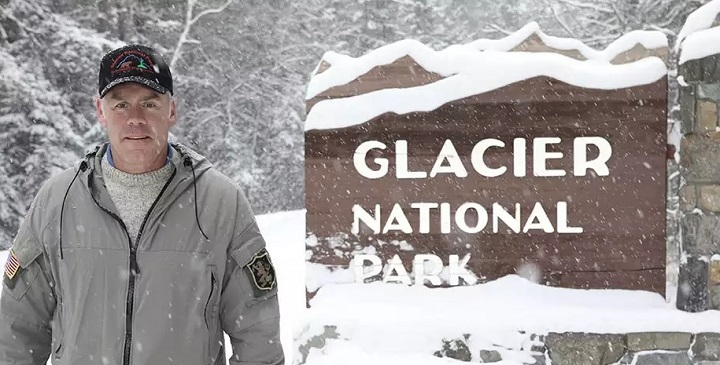 Secretary Ryan Zinke at Glacier National Park in his home state of Montana. At his confirmation hearing before the U.S. Senate, Secretary Ryan Zinke described himself as "an unapologetic admirer of Teddy Roosevelt," and praised the legacy legendary naturalist John Muir. Let's ask the Secretary to honor these two men, and more importantly the future of America's national parks, by restoring Yosemite's Hetch Hetchy Valley. The language we used in the petition is below. They do notice, however, when advocates include a personal note (which can be done on the petition). Tell the Secretary why you think Hetch Hetchy should be restored. Yosemite National Park once included two spectacular glacier carved valleys - Yosemite Valley along the Merced River and Hetch Hetchy Valley along the Tuolumne River. These valleys, like all national parks, are to be protected "in perpetuity". Today, Yosemite Valley is one of the world's most famous natural landscapes, and is a very popular destination for climbers, hikers or people who just want to stroll its meadows. Hetch Hetchy Valley, however, lies buried under 300 feet of water and is inaccessible to park visitors. When President Woodrow Wilson signed the Raker Act in 1913, he permitted San Francisco to clear-cut, dam and flood Hetch Hetchy. It remains the only time in our history that a single city has been allowed to appropriate one of our national parks for its own exclusive use. Studies show the Hetch Hetchy can be restored and that San Francisco can improve its water system so that its Tuolumne River supplies can be stored downstream of Yosemite. The City is unwilling, however, to consider making any changes. Yosemite belongs to all of us, not just one city. Hetch Hetchy Valley should be restored for the enjoyment of all. Please support the restoration of Hetch Hetchy, and work cooperatively with San Francisco to make the water system improvements that are necessary to make it possible. Together, we can make Yosemite whole again. As you may know, Secretary Don Hodel proposed to consider restoration in 1987, but San Francisco convinced Congress to disallow any funding for the effort. In 2007, study funds were identified the President's initial budget but again were removed in Congress. Perhaps the third time will be a charm.